SPECIAL OFFERS!! Driving Lessons in Beckton. 1st 5 Driving Lessons £15.00 Each Hurry call Now to Book!!! TTP. Driving School offers Trial lesson for £16:00.Need driving lessons in Beckton.Time to Pass Driving School offers professional driver training to help you to pass the Theory and Practical driving tests, first time.We also offers additional driving services such as Pass Plus,refresher and motorway driving lesson to help you become a more confident driver. All lessons come with full theory coaching as standard to help you get on the roads as safely and quickly as possible. 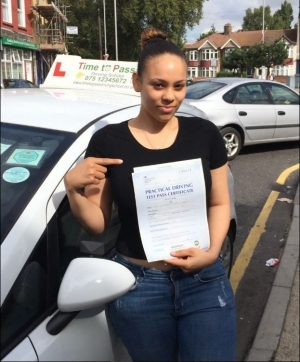 Take your driving lessons in Beckton with Time To Pass Driving School.